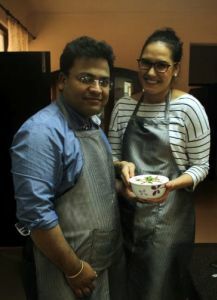 Food Tour in Delhi’s cooking classes teach the secrets of Indian cooking in a fun and informative way. These classes teach more than just learning to cook a few Indian dishes. In these cooking classes, you’ll learn the very basics as well as some of more advanced cooking secrets and techniques which make Indian cuisine so rich and delicious. 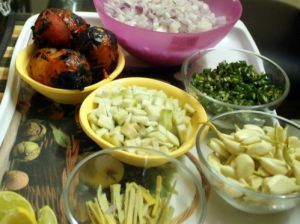 These cooking classes teach everything from simple chaat to advanced dishes like chicken tikka masala. The guests also receive a special gift hamper which contains some very special ingredients which are used in almost every Indian kitchen. These will help you enhance the taste of your own cooking too. Our aim is to provide the maximum possible amount of knowledge in shortest time.We don’t believe in running classes according to a set schedule. But just to make things easier for people who are not very familiar with Indian food, we offer following different types of classes. Please note that, these are meant only as guidelines and the guests can pick and choose any dish that they’d like to learn to cook in any type of class.The number of dishes covered is limited only by time and expertise of guests.